The maximum number of attendees has been reached! 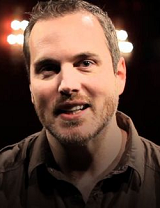 Shawn Bolz’s passion is to influence Christians to take on their journey of intimacy with God wholeheartedly. He has used his prophetic ministry and fresh biblical perspective in his teaching and coaching to help people adopt a relational approach with God that is organic and revelatory. Shawn has written four books: Translating God, The Throne Room Company, Keys to Heaven’s Economy: An Angelic Visitation with the Minister of Finance, and The Nonreligious Guide to Dating and Being Single. He also has a burning heart to see the entertainment industry and the creative arts come into revival. Conference is filling quickly. Register soon to ensure your seat. Complementary Deluxe Hot Breakfast. Complimentary Shuttle Service. Free Parking. Please call 509-328-8505 and ask for the Healing Rooms rate.